Lowest-Cost Amphib At $37,000 (with the 65-hp two-stroke Rotax 582) or $47,000 (with 80-hp Rotax 912), the Krucker Cygnet is the lowest cost amphibious SLSA on the market. The floats look unusual, but worked great. Read my Krucker pilot report. Triple digits! In five years the LSA industry has reached SLSA model #100. Actually, here's another one that slipped by our radar. Info now shows SLSA #99 was the Krucker amphib trike named Cygnet and Van's RV-12 was technically #100. Our SLSA List shows Special Light-Sport Aircraft in order of their approval. *** "We got our SLSA completed 3 July 2009," wrote U.S. representative, Michael Percy, of XL Kites. This means the Cygnet he imports was approved a couple weeks earlier than the Van's RV-12 on July 21st, which came one day after the fifth anniversary of the new rule announcement (July 20th, 2004). 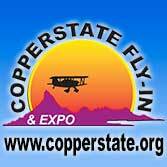 *** One hundred models approved in such a short time has no comparison in worldwide aviation history. In fact, reaching #100 only took 4.3 years because the first approval occurred on April 7th, 2005 ...that's two new models every single month! 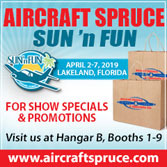 *** The other triple-digit figure -- the number of companies who have registered more than 100 aircraft -- hit five as SportCruiser models exceeded 100 units in the USA. 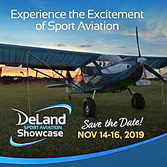 Formerly Czech Aircraft Works, producer Czech Sport Aircraft now joins Flight Design, American Legend, Tecnam, and Remos in the exclusive triple-digit sales club. Other LSA climbers include Aerotrek/Aeropro, nearing the 50 mark with their economical tri-gear or taildragger models (average price about $75,000, they say). Watch for our next market report with more details. Triple digits! In five years the LSA industry has reached SLSA model #100. Actually, here’s another one that slipped by our radar. Info now shows SLSA #99 was the Krucker amphib trike named Cygnet and Van’s RV-12 was technically #100. Our SLSA List shows Special Light-Sport Aircraft in order of their approval. *** “We got our SLSA completed 3 July 2009,” wrote U.S. representative, Michael Percy, of XL Kites. This means the Cygnet he imports was approved a couple weeks earlier than the Van’s RV-12 on July 21st, which came one day after the fifth anniversary of the new rule announcement (July 20th, 2004). 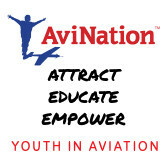 *** One hundred models approved in such a short time has no comparison in worldwide aviation history. In fact, reaching #100 only took 4.3 years because the first approval occurred on April 7th, 2005 …that’s two new models every single month! 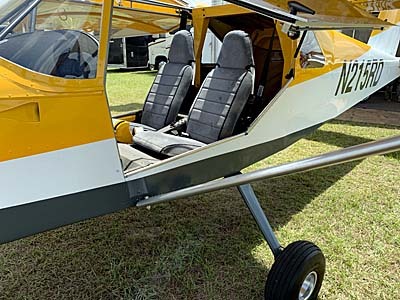 SEATS & BELTS - Upholstery makes the Kalypso's seats fairly comfortable, at least for short flights, and the structure is certainly durable for water operations. WAVE HELLO - Stuart Fuller helped with the evaluation flying. Note the forward structure on the wing that allows on-trike folding for easy transport. SIMPLE AMPHIB - The Kalypso sets a new standard for light and simple amphibians with their own distinctive float design. HIGH BREAKDOWN - It is finally becoming common in trikes to break down the mast above the engine mount. This leaves the engine well braced yet allows lowering the wing for mounting and dismounting. UNDER THE SEAT - The front seat hinges to expose the battery, electric motor for the retract mechanism, the ratchet hand crank and side-mounted switch. DUAL RETRACT - The Kalypso features an electric retract system that worked very well. To the left of the front seat you see the hand crank in case electrical power fails. SELF ACTION - The mechanism on the rear gear leg has a spring-loaded latch that angles the wheel outward on deployment. A cable linked to the retract mechanism pulls the wheel into the proper position when operating on water. WATER RUDDER - Trikes have no tail to help operate in the water; a water rudder is necessary. The Kalypso only has one at present but the other side is planned to give more authority in the water. The retract handle is the slender rod atop the float alongside the foot grip area. My computer dictionary says Calypso is “A sea nymph who delayed Odysseus on her island for 7 years.” It is also the name of one of Saturn’s moons, a flower, and a West Indian musical style. Any of these meanings infer a pleasant experience, a sensation sure to be duplicated by the ultralight amphibious Kalypso (spelled with a “K”) with its Krücker-designed floats. I don’t know if the Kalypso is enough to keep you stuck on an island for 7 years, but I found her to be a most desirable ultralight. Take It Home with You Trikes are highly mobile aircraft. One reason they became so popular in Europe and even here in the roomier US of A is that they break down easily. You can carry a trike in a pickup truck – with the right hardware added to properly support chassis and wing. Or you can use a small trailer and carry the wing on your car or truck. 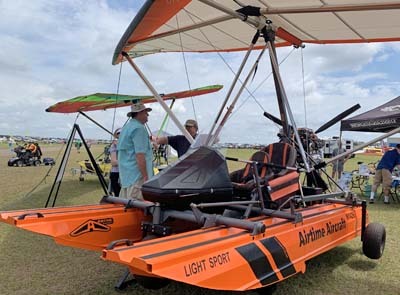 WaterTrikes – the sponsor of the Kalypso at its 2002 airshow debut – offers a custom trailer for the Kalypso. While I didn’t get a chance to examine it, some of their customers have posted positive reviews. Floatplanes are more challenging to haul around on a trailer. Floats large enough to effectively float an ultralight need to be pretty long. Loading them can be challenging. For example, I helped a few others as we loaded an Air Création trike on straight floats. It wasn’t too heavy but it took five of us to get it onto a flatbed trailer with strategically placed auto tires to cushion the floats. Contrary to that experience, the Kalypso merely rolls up ramps like you’d expect with any ultralight on a trailer. The benefits of amphibious gear are obvious. But they usually add a good bit of weight. Not so on the Kalypso. In the world of trikes on floats, amphibs are rare. In fact, all I can remember from my flying experience is the J&J Ultralights SeaWing. Though these two look similar, the differences are significant. Any amphibious floatplane tends toward the heavy end of the spectrum – all that extra hardware to rotate wheels into position adds weight. The Kalypso manages to keep the load surprisingly light with simple mechanisms, a simple chassis, and a smaller (but amply adequate) 50-hp Rotax 503 engine. The Kalypso with Krücker floats has an advantage over J&J Ultralights’ SeaWing, which uses Full Lotus floats. While many pilots have come to love the inflated Full Lotus floats, they don’t offer an integrated amphibious gear. Adapting a mechanism to an existing system may not produce as clean a result as a fully conceived set-up. The Kalypso was designed as a package with floats, landing gear, and retract system. This results in a simpler machine that saves weight and offers a sleeker float. In contrast, the Lotus floats have a pudgy appearance. When added to landing gear built around the floats, the whole thing gets busier and weight rises. The SeaWing uses a 65-hp Rotax 582 – as do nearly all 2-stroke floatplanes – but the Kalypso makes do very well with the simpler, lower-cost Rotax 503. Add a fold-in-position wing to the Kalypso’s other useful qualities and you’ve got a highly transportable ultralight. The SeaWing can also manage the task of folding the wing in place though it does so with a different hardware set-up. I didn’t operate either takedown system, but they appear comparable though different in concept. Folding a trike wing in position has great appeal on a floatplane. In concert with WaterTrikes’ custom trailer, the in-position wing fold should make for a shorter pack-up time after you’re done flying on the lake or airpark. But when you fold a trike, it is important to support the leading edge tubes. Once disconnected from the crossbar tube, the leading edges remain bolted only at the nose. If you have the trike up high and allow the leading edges to droop, you could damage the tube at the critical nose area. SeaWing cleverly solves this problem by rotating the leading edge bolts 90° which allows the wing to droop without straining anything. However, it also leaves the wing covering hanging down and packing it up requires you to lift the leading edges to neatly fold or roll the wing cloth with its leading edge tube. Butterfly Wings by GibboGear, which designed and builds the Swing Wing series for the Kalypso (and other customers), approached the problem differently. Long-time hang gliding expert Mark Gibson left the leading edge bolts in the conventional position but supported the leading edges with some extra structure above the wing (see photos). This provides adequate support to the leading edge but allows for easier folding, as the tubes remain parallel to the keel as needed for effortless packing. The downside is that the Swing Wing method adds visible structure where the J&J Ultralights version does not. A step-by-step view of the Swing Wing in fold-up operation is available at www.GibboGear.com . Lighten Your Load The integration of floats with retract mechanism in lock step with a lighter single-surface wing and an overall basic configuration (no nose pod or electric start, for example) makes the Kalypso lighter. As I’ve long espoused, light ultralights tend to work more efficiently than heavier ultralights. Single-place versions of nearly identical aircraft usually fly “better” than 2-place models. “Better” is subjective, but light ultralights usually take off more quickly, climb faster, descend and land more slowly, handle more responsively, and cost less to buy and operate. The lighter Kalypso is an amphibious trike that works well at full gross using the 50-hp Rotax 503. 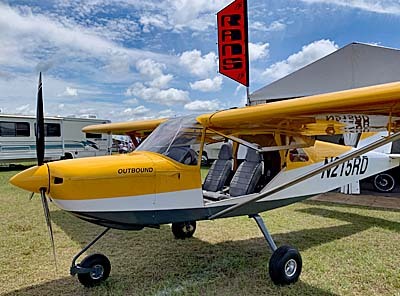 The 503 is the favorite 2-stroke among ultralight pilots. 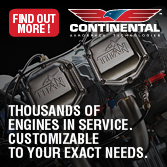 It costs less to buy, is easier to install, has a great maintenance record, and uses less fuel than the 65-hp liquid-cooled Rotax 582. It also weighs less, of course. It’s rare to see any 2-place ultralight floatplane operate on the Rotax 503. One of the reasons for the Kalypso’s success is the floats. These are hardworking constructions. We’ll come back to them. The other reason is the large, single-surface wing. At 192 square feet, this trike has more square area than the majority of trikes or any 2-place ultralights. By itself, lighter wing loading helps the Kalypso get off the water faster. 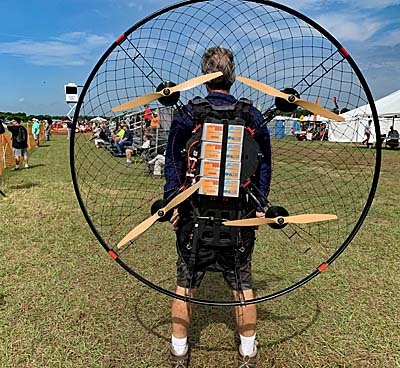 If a couple of really big buys wanted to fly a Kalypso, you could use GibboGear’s even larger Butterfly 21 wing, which has an enormous 240 square feet of wing. (Butterflyis the name of the model when it does not have the folding mechanism. It is renamed Swing Wing when it is so fitted.) Such large wings are great for lifting off, but they suffer in top speed. Therefore, by using these wings the Kalypso relegates itself to a short distance flying – though that may be fine with a large percentage of floatplane buyers. 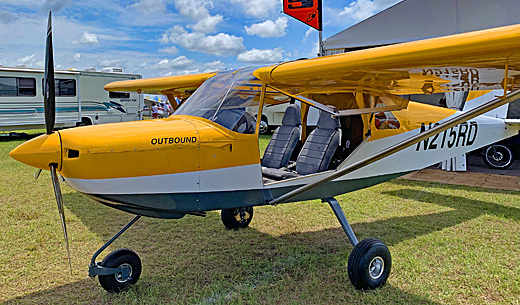 Put it all together – a Rotax 503, high-lift wing, light chassis, retractable amphibious gear – and you have an ultralight with loads of appeal for fun summertime (or year-round warm climate) flying. Throw in a reasonable package price of $20,995 and it appears to me that the Kalypso should sell well. You might argue that $21,000 is hardly “reasonable,” but that’s a relative word. Straight or nonamphibious floats add $3,000 or more to an ultralight. Add amphibious capability and you’ll find comparable aircraft priced still higher, plus they’re generally heavier aircraft with higher operation costs. If the Kalypso can continue to be priced around $21,000, I predict a good run for the model. Naturally, as a first offering, I can find a few shortcomings, but nothing that can’t be easily remedied. Float Design When someone designs an amphibious floatplane they must do all the aerodynamic work of a landplane designer. But they must also create floats that work well hydrodynamically. Because of this significant extra effort, the first things a floatplane designer creates are the floats. Indeed, Air Création reports spending 10 years developing their very nice straight (nonamphibious) floats. Many observers look at trike floats with a jaundiced eye, believing the step is placed too far forward. While you can’t find too many to examine, all trike floats are placed more forward than their 3-axis counterparts. 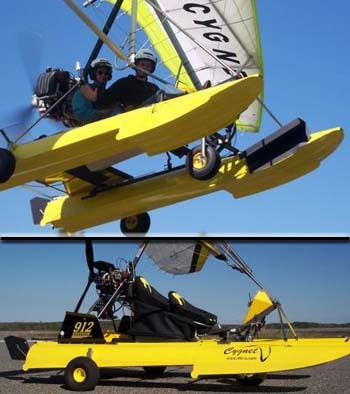 My check pilot and long-time floatplane flyer, Stuart Fuller, explained the differences between trikes and 3-axis floatplanes. They have some clear contrasts. 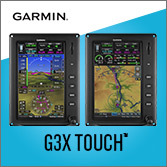 On a 3-axis design, the floats and wings maintain the same relationship to one another at all times. In addition the tailplane offers pitch control, which also acts on the floats as they are rigidly joined. When you power up for takeoff in a 3-axis ultralight you have more longitudinal axis control to help get up on step. (Getting up on step implies a situation where the float has minimal area in the water just prior to launch.) In a trike, you have no pitch control over the float’s angle to the water. Therefore when you power up a trike, you tend to push the floats horizontally through the water. All floatplanes create a wave as the machine moves through the water. Trikes and 3-axis planes cope with this differently. The 3-axis model can end up balanced on the high point of this wave, so the step can be closer to the halfway point along the float’s length. Since the trike has no pitch control to maintain the floats on this high point, the step must be further forward. The step can then keep the nose of the floats from plowing into the water. The aft flotation capability of trike floats, in concert with the more-forward-positioned step, hold the trike level in the water until the wing lifts you off. In the Kalypso, this all happens fast enough that you’re hardly aware of the physics. J.P. Krücker’s self-taught design of floats works most effectively. Flown with the right wing, you won’t be on the water long for takeoff and that’s always a winning hand in floatplanes. The lack of water spray generated by these floats is equally impressive. When I examined the floats off the aircraft, I discovered that they have a spray rail or fin, a section of metal attached vertically to the inside and forward edge of the float. Only on my firm landing when we basically splashed to the surface did my pant legs get somewhat wet, which is hardly the fault of the floats. Clearly a case of pilot error, my subsequent landings were better. On those I noticed no spray whatsoever. According to WaterTrikes’ Bob Bullock, the Krücker floats weigh 43 pounds each, which does not include the retract mechanism that is bolted to the trike chassis. These floats are made of welded aluminum with three sealed chambers. Bullock has become quite intimate with the floats’ capabilities, having worked closely with designer J.P. Krücker during the floatplane’s development. Splash Off After I flew dual with Stuart Fuller for a few takeoffs and landings, we taxied back to the channel where ultralights were quartered at the Lake Parker Splash-In at Lakeland, Florida. Stuart was comfortable enough to send me off solo in the new Kalypso. But before he got out, we sat in shallow water with the nose of the floats resting lightly on the grassy shore. When I asked about the electric retract, Stuart responded by flipping the switch to the left side of the pilot’s seat. Down into the water went the gear. When the wheels hit bottom, it actually shoved us up on the wheels. Now I understand the floats were taking some of the weight so it wasn’t all on the wheels, but I was nonetheless amazed that the retract system had enough power to do this. Fuller indicated a full battery charge would allow several full retractions. However, even if the battery gives up the ghost, you have a ratchet-style hand crank that you can use to extend the gear. How J.P. Krücker’s floats work on the retract system is one thing. But my tape-recorded notes reflected, “The floats are very impressive.” This observation came shortly after my first good landing. In my very first landing, I held a flat attitude and we slapped the water more firmly than we needed to. I was up front and it was my error, but the floats hit hard enough to splash my pant legs a bit. The floats also appear to be built very solidly. While that first landing wasn’t what I intended, it did provide some indication of the floats’ sturdiness. Typical takeoff technique calls for you to push out liberally on the control bar as you power up to keep from plowing during the initial take-off run (as you start to create that wave). When the wave is formed and you begin to accelerate you pull back in somewhat as the floats rise up on step. This will allow the trike to accelerate further and, as it does, you ease out on the control bar. Using this technique, the Kalypso left the water surprisingly fast. Folks at the seaplane splash-in like to have contests measuring the number of seconds on the water before lift-off. I didn’t participate nor did I time my water run, but it had to be one of the fastest and this with a 50-hp Rotax 503 at near or full gross. According to Bullock, rotation speed is 28 mph with just him aboard. This is very slow but I have no reason to doubt the value. I had no ASI onboard but the trike floatplane definitely left the water in a hurry. The Kalypso flies more slowly than the Air Création trike on floats (which I evaluated on the same day). I can’t be sure of the speed differences without the use of an airspeed indicator but I’m sure the Kalypso gets off the water far faster and at a much slower airspeed. Since floatplanes beat themselves up going faster and faster on the water, slow lift-off speeds are a clear-cut advantage. The 50-hp Rotax 503 had no trouble lifting two large fellows plus full fuel plus amphibious floats. 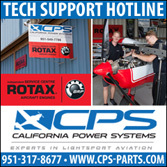 I see no need to use the more expensive 65-hp Rotax 582, especially with its added complexity. Additionally the Rotax 582 engine does not enjoy the charmed reputation of the Rotax 503, which almost every pilot seems to like. While some designers get the finished appearance of a new model just right, some ultralights need their functions refined. Many builders make changes after the first airshow. J.P. Krücker did it differently. Krücker worked until he had a package that satisfied him. He focused on the floats and the gear retract mechanism. And all the while he obviously worked hard to keep it simple and keep it light. In all these ways, he succeeded brilliantly, I feel. However, I heard many pilots comment that they found the finished appearance of the Kalypso lacking. When you compare it to Air Création, AirBorne, Cosmos, Pegasus, or Rainbow trikes with beautiful hardware and finish qualities, the Kalypso comes out looking less well finished. The difference is that these other companies have had years to refine their art. Krücker got the important stuff right first and can now make whatever cosmetic refinements the market seems to demand. Nonetheless, I heard griping about several items worth noting. Few liked the diamond-plate material used on the seat structure. It yields a certain machine-shop look. Others didn’t like the boxy instrument deck, or the basic foot pegs, and lack of any fairings. The seats themselves were minimal with thin padding covering the metal surface (though all this may help this ultralight floatplane survive better in the wet world of water-based flying). The engine mount looked simple and did not have the angled, mass-aimed mount popular on other ultralight designs. Others faulted the single water rudder, which did not seem to have much authority. Two rudders should solve that. Instead of angling back, the lone rudder went almost straight down into the water, which may cause it to hang up on shallow weeds or other obstructions. Finally, the rudder retract was simplistic compared to the slick gear retract. You must reach out to the float and flip a small, bent tubing handle forward or aft. It worked well, like everything on the Kalypso, but it was one of those not-quite-finished-looking items. While a number of folks complained about some of the trike’s features, nearly everyone admired the clean, simple, and workable design. Krücker or Kalypso? The Kalypso retails for about $21,000. As with any ultralight purchase, you can spend more. A nifty custom trailer costs $1,000, and you might want one to make life easier on the lake-to-home transport. On the Butterfly Wings by GibboGear Swing Wing, you can have either red or blue for your wing colors without further charges. But you can buy some optional trike carriage colors: red, blue, and yellow. The good news is, the Kalypso is quite com plete as it is. Until their recent change of direction, Krücker Mfg. had shipped floats and trikes to WaterTrikes who finished the assembly and added engine, wing, and instruments. Of course, WaterTrikes also dealt with getting the Canadian products into this country. 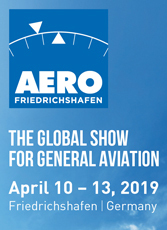 Speaking to designer J.P. Krücker at press time, he said that he expects to start marketing the aircraft flown for evaluation as the Krücker Amphib. He will not continue to use the Kalypso name in deference to Bob Bullock’s efforts to promote that model name. Kalypso is a good name with strong marketing value. It’s the invention of Bob Bullock at WaterTrikes, according to Krücker. The designer commented that Bullock put a lot of money and effort into developing and promoting that name. Bob Bullock gave me most of the information needed for this article and it was his preparation that allowed me to fly the Kalypso. For years, he has been active in the South Carolina flying community where Krücker is an unknown business entity in the U.S. market. Both appear sincere in trying to supply an amphibious trike like the one I reviewed. 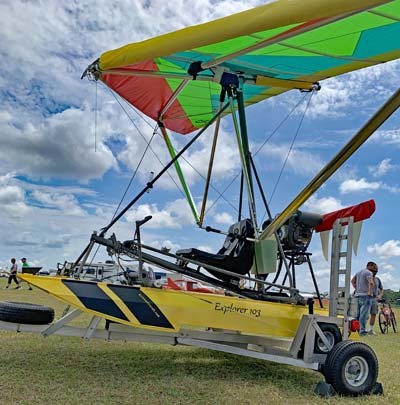 As it appears at press time, the Kalypso may be what you can buy from Bob Bullock at WaterTrikes, but the aircraft pictured with this article was designed and is built by J.P. Krücker of Ontario, Canada. Matters still need to be sorted out but Krücker reports he will separately market the Krücker Amphib and it will look identical to the ones photographed here. The Kalypso will come from Bob Bullock. Terms of the overall arrangement were not complete at press time, but one thing is sure: You can buy an ultralight like the one I’ve just reviewed. My advice is, contact both Krücker and WaterTrikes and ask what each has to offer. 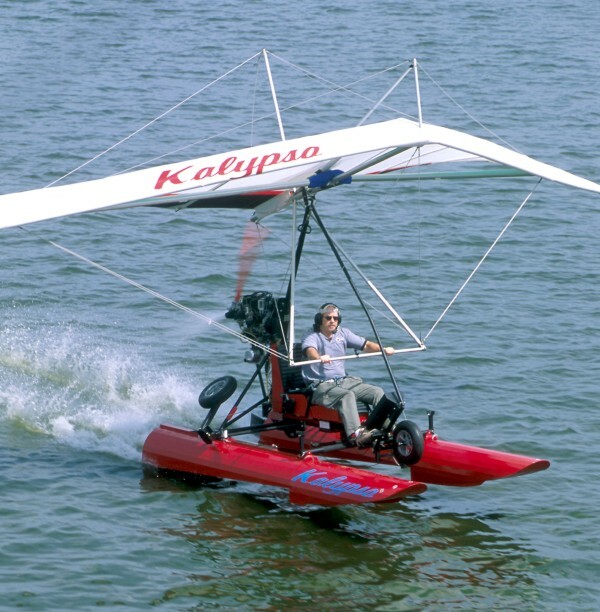 Kalypso or Krücker Amphib, this is an ultralight worth pursuing. Standard Features Rotax 503, tachometer, Hobbs meter and EGT, 3-blade composite Hotprop, easy-folding Swing Wing trike wing, electric retract amphibious gear, covers for instruments, engine and prop, trike chassis anodized black, floats painted with two-part urethane. Options Hirth or MZ engines (or other preference), BRS emergency parachute, float and wing color choices, instrument packages, custom trailer. Construction Aluminum airframe, Dacron wing, welded aluminum floats, welded aluminum parts (like front fork). Made in Canada. Pros - Many have stumbled with trikes on floats, but designer J. P. Krücker seems to have succeeded nicely. Works very well in the water (for its intended purpose of local area flying). 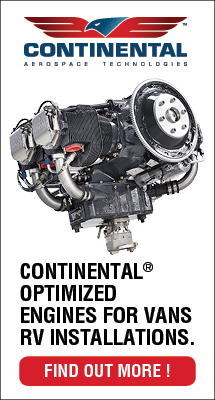 Functions exceptionally well with two large men aboard and a 50-hp Rotax 503 powerplant, rare among 2-place floatplanes. Floats performed well and retract mechanism was impressive. Cons - Has some appearances of a new work, with a machine-shop look. Refinements may follow (though from a functional standpoint I found little to be lacking). No word on reparability of the welded aluminum floats. Product too new to find any problems associated with continued operations. Pros - Retract mechanism is as good as I've seen. In shallow water it actually pushed two of us up on the wheels (some flotation helped). Wing folding mechanism allows breakdown of the wing without removal. Pull starter high overhead makes for a reasonable pull stroke. Easy refuelling to rear seat back tank while standing on one float. Hand crank for gear extension backup. Cons - Ultralight amphibs often don't have brakes as the wheels get wet regularly; the Kalypso has none. No flaps to help with landings (though hardly needed thanks to slow-speed wing). No trim system available. Only instrumentation fitted was a tachometer and dual EGT, though the instrument pod had room for much more. Pros - Front seat flips up for access to battery and electric retract mechanism. Front seat had a removable seat back that supports front occupant better. Simple cockpit eases entry; standing on one float presents no problem. Slow flying design makes an open cockpit most enjoyable in the right weather. Cons - Seats leave something to be desired for comfort (though you probably won't stay in the seats all that long unless you're an instructor). No seat adjustment. Lap belts, though of good quality, aren't enough. No cargo storage (though this isn't a cross-country ultralight). Not a good cold-weather flying machine. Pros - (All comments for water handling.) Even with only a single rudder, I was able to maneuver off the lake and into and down a 20-foot-wide channel then turn 90° to beach the Kalypso (winds were very light); another rudder should make it very maneuverable. Like most ultralights, draft is very low so operations in shallow waters aren't a problem. Cons - (All comments for water handling.) Single rudder on test trike is insufficient for some water operations; not enough turning power. Pros - Takeoff run is very short and landings are simple, requiring only a bit of attention to flaring to settle into the water almost splash-free. Some trikes can be tricky to launch. Landings are very easy. Launch technique was greatly simplified by the short time on the water and the slow speed at rotation. Hand crank for gear extension in event of electrical failure. Cons - Don't flare at all (that is, do an "attitude landing") and I proved you could splash yourself a little. Other than that, I can think of no negatives if you fly in modest winds. Tested only with a slow-speed wing. Water operations preparing for takeoff or landing would be aided with a second water rudder. Pros - Single-surface wings do a good job of combining good lifting capacity with lighter handling (at the cost of greater top speed). Roll authority was acceptable even if input didn't produce a fast response. Trikes don't have adverse yaw like 3-axis ultralights do. Precision turns to heading and predictability were good. Good beginner floatplane. Cons - With 192 square feet, the GibboGear wing doesn't handle as lightly as a smaller wing (which you could choose at the sacrifice of lifting ability). Usual trike limitations to crosswind operations, though these are hardly a factor on water. Very experienced trike pilots may want faster controls. Pros - Krücker Floats leave the water in a very short distance, better than any trike on floats I've flown and comparable to single-place 3-axis ultralights. Quite remarkable to me that the Kalypso works so well with a 50-hp Rotax 503, but it does. Factory states climb is 900 fpm though I couldn't verify due to lack of an altimeter. Sink rate felt slow. Cons - If the wing gets you off the water quickly, by definition it won't have an impressive top speed and it doesn't (max cruise roughly 50 mph; no ASI installed). Endurance may not be great with a 503 pushing two large people, floats, and a big wing through the air. Pros - Very slow stall speed; I couldn't judge as no ASI, but wing maker reports a 21-mph stall. Stalls were very mild in response characteristics; no wing falloff discovered. Wing felt very stable and quite acceptable to a beginner or novice. Very unlikely to enter a spin; takes specific effort in hang glider-type wings. Cons - While lap belts only are common on seaplanes to facilitate quick escape in event of water upset, they are not enough. A reliable quick-release mechanism to a 4-point system would be better. Throttle response on trikes is positive but produces a nose-up attitude even if you pull in liberally. Pros - The Kalypso is a highly functional trike that does its job exceptionally well; it should satisfy most buyers of this kind of machine. 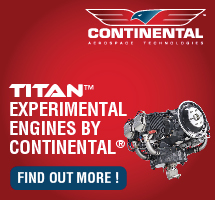 Good for pilots new to either trikes or floatplanes (though techniques are different from 3-axis floatplanes). Pricing is reasonable when you compare to other amphibians. Easily fits Part 103 exemption for flight instruction. Cons - New and unknown supplier to the ultralight community. Finish quality is far from that found on Air Création, Cosmos, or Pegasus trikes (but this won't be hard to improve). Trike chassis testing unknown. Too early to evaluate delivery times and factory response to issues. Dealer network just being built. My computer dictionary says Calypso is “A sea nymph who delayed Odysseus on her island for 7 years.” It is also the name of one of Saturn’s moons, a flower, and a West Indian musical style. Any of these meanings infer a pleasant experience, a sensation sure to be duplicated by the ultralight amphibious Kalypso (spelled with a “K”) with its Krücker-designed floats. I don’t know if the Kalypso is enough to keep you stuck on an island for 7 years, but I found her to be a most desirable ultralight. Take It Home with You Trikes are highly mobile aircraft. One reason they became so popular in Europe and even here in the roomier US of A is that they break down easily. You can carry a trike in a pickup truck – with the right hardware added to properly support chassis and wing. Or you can use a small trailer and carry the wing on your car or truck.